The test line-up included nine size 245/30 R 20 Y tires from European, American and Asian manufacturers. The test vehicle was a Honda Civic Type R. While the SportContact 6 scored the top “highly recommended” rating, one competitor was awarded “recommended” status and all the other products were rated “moderately recommended”. 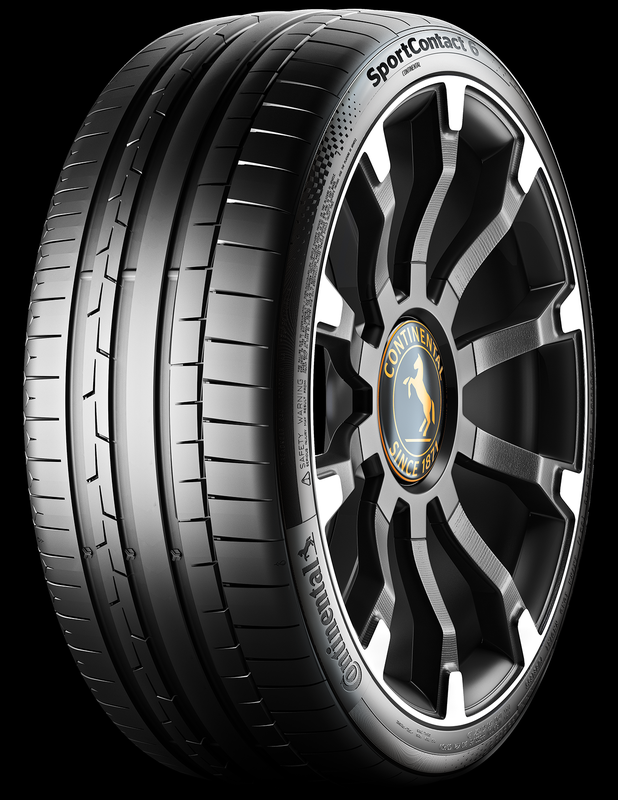 With the SportContact 6, Continental has a super sports tire for the ultra-ultra-high-performance segment in its portfolio that demonstrates substantial improvements over its predecessor, primarily in terms of handling, precision steering response and high-speed capability. To put this tire's superior performance onto the road, Continental's development engineers have reformulated the chemical composition of the tread strip, redesigned the tread pattern, and revamped the construction of the tire. There are almost 90 sizes available for 18 to 24-inch rims, with tire widths from 225 to 335 millimeters and aspect ratios between 50 and 25 percent. The SportContact 6 is approved for speeds of up to 350 km/h and is fitted ex works by numerous manufacturers of sports and super sports cars.